Connects the train station with the “Antiporto” area, situated few hundred meters from “Porta Camollia”, crossing the shops on the straight building (“Porta Siena” gallery). Perfect for those coming in Siena by train and bus and want to reach quickly the City Centre. Excellent also for those coming by car, considering that the train station takes advantage of the inexpensive car park of the same name. This one is the last escalators made by Siena Municipality. Lunched in 2011, through a path of 283 meters and going beyond a gap of 62 meters, it connects the train station with the “Antiporto” area. This escalator has a maximum load of 6 thousand people per hour. Two pair of underground mobile mats go through “PiazzaleRosselli” ending inside the straight building, where there are many shops, cafés and restaurants. From here, the escalators start and going up end at the “Antiporto” level, just few hundred meters away from “Porta Camollia”. “Piazza del Campo” is distant 15 minutes, reachable with a cozy walk. The route is,for the most part, on the basement or underground, therefore environmentally friendly. 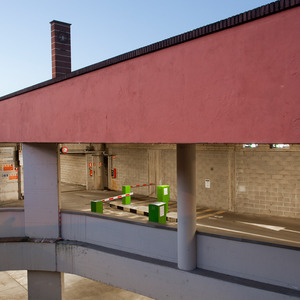 The Train Station is also the principal docking area for the suburban couches and it takes advantage of the multi-level car park managed by “Siena Parcheggi”. 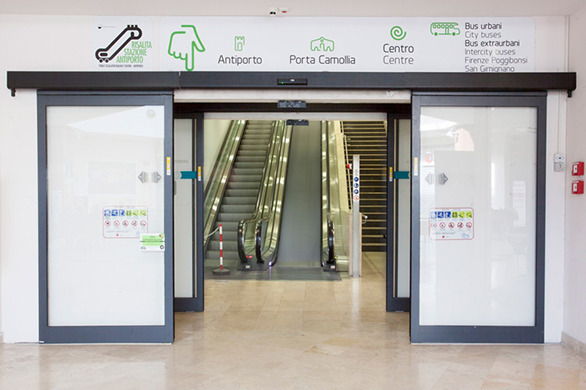 Disabled users can reach the plant basement and “PiazzaleRosselli” from the car park connected to the train station subway, making use of specific lifts. 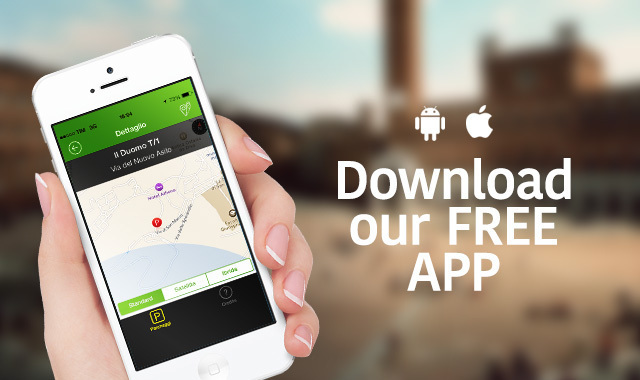 Once arrived on “PiazzaleRosselli” it is possible to activate the dedicated taxi call systems. 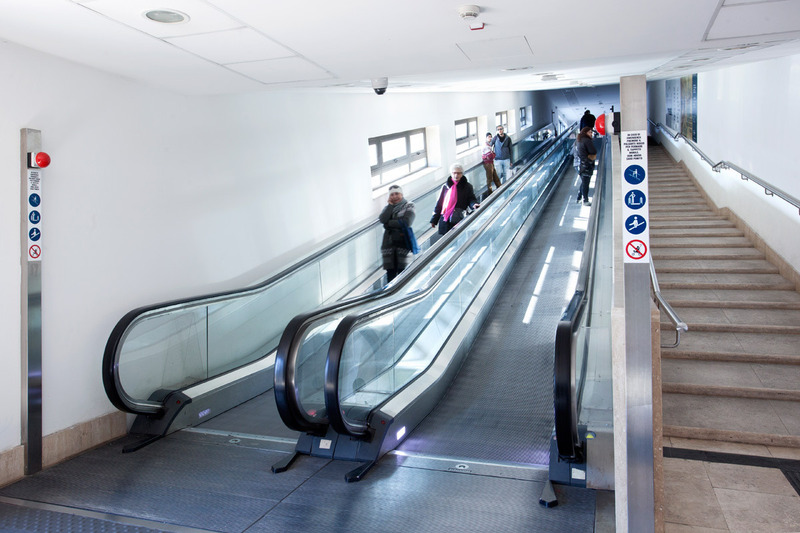 This transportation method has been selected to avoid further inconveniences to disable users, considering that a stair lift installation would have involved a ride over 35 minutes. Direct link to: Train Station, “Porta Camollia”, “Antiporto”, City Centre. Subscribe to the newsletter to receive our news and offers.